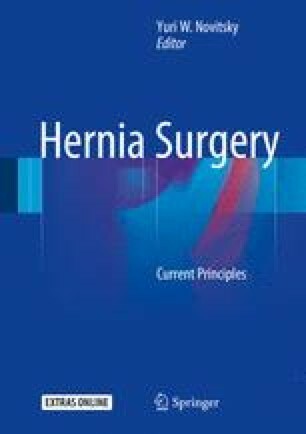 Ventral hernia is a common problem and may be addressed with a number of operative techniques. The optimal positioning of prosthetic mesh has not been established definitively, lending itself to the discretion of the surgeon. These options of onlay, sublay, and underlay mesh placement are discussed along with the associated outcomes as demonstrated in the current surgical literature.